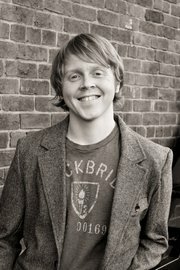 Jeff Goins is a writer who believes in writers. He believes in them so much that he has shared a great deal of his wisdom gained through experience in the writing field. No one ever said writing was easy, but Jeff explains some of the important ins and outs, like platforms and brands and networking. Jeff is also going to present a 15-day workshop, starting tomorrow (June 5) that he says will improved your writing drastically. 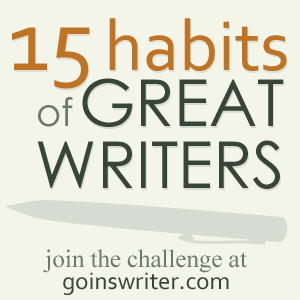 Jeff Goins wrote: All great things come with practice, and writing is no different. If you want to move from mediocrity to mastery, you’re going to need to do what the masters do. You’re going to have to form new habits. So, he will work with us in practicing what the masters practice. I signed up. See at the bottom of this review how to get more info on this workshop and how to get Jeff’s e-book that I have reviewed below. You will need the e-book for the workshop. Recently I attended a webinar that covered, amongst other things, allowing yourself to dream your dream, believing in yourself, encouraging yourself to dream bigger, and putting yourself in your dream, i.e., choose yourself. The next thing I knew, Jeff Goins, respected author of such writer-friendly titles as The Writer’s Manifesto and Building an Empire With Words (as co-author), offered me a chance to review his latest e-book, You Are A Writer. Guess what You Are A Writer is about? Yup, allowing yourself to dream, believing in yourself, encouraging yourself to dream bigger, putting yourself in your dream…from a writer’s perspective. Well, you could’a knocked me over with an elf’s wink, it being such a timely piece for me to read. But wait, there’s more! (sorry, couldn’t resist that). Seriously this e-book is full of answers and explanations of things that likely puzzle all starting writers. I know they had me scratching my head. It begins with the premise: You are already a writer. You just need to write. And then it goes from there with advice, explanations, examples and step-by-step how-to’s of how to establish yourself as a successful writer. It’s not enough to be good. You have to be great. Nobody cares about you. People care about themselves. It’s more about who you know than what you know. Jeff leads you from quivering beginning writer who has a hard time believing she is really a writer, through steps that will help you gain that confidence and belief. He helps you understand thoroughly the above three points and how to implement them in your writing and your life. He finished up with an excellent description and how-to section of how to get published, advocating to start small and build relationships until you have the experience and expertise to accomplish the last step: get your book published (if that is your dream). You Are A Writer is wrapped up in humor, caring, and nuts-and-bolts facts. In my opinion, it is a treasure for any writer who has had questions on where they are now, where they are going, and how to get there. If you are interested in Mastering the Habits of Great Masters, go here. You need to sign your blog up on that page. Remember, it starts tomorrow, so don’t miss it. 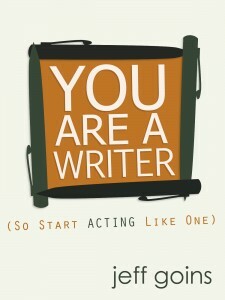 You Are A Writer (So Start Acting Like One) by Jeff Goins has just been released and is available in Amazon’s Kindle Store for $2.99. Good news is that you don’t need a Kindle to read Kindle stories. You can download free Kindle software onto your computer, which will handle your e-book reading. This entry was posted in Featured writers, how-to writing and tagged brand, E-book, Goins, how-to write, Jeff Goins, platform, publishing, Writers Resources, You Are A Writer. Bookmark the permalink. Great review. Thanks for letting us know about the ebook and challenge. My pleasure, suzi. If you have the time, it’s well worth taking the challenge. Today’s word is DECLARE. Read what Jeff Goins has to say about it…and how we can use it to our advantage.